Dr. Lee A. McElroy, Jr. of the University at Albany in New York has been appointed to the United States Sports Academy’s Board of Trustees. McElroy is the vice president for Athletics Administration and director of athletics at Albany, and a former president of the National Association of College Athletic Directors (NACDA). Albany’s student-athletes have an overall graduation rate of 84% since McElroy arrived, and qualified for National Collegiate Athletic Association (NCAA) postseasons in men’s basketball, football, field hockey, volleyball, softball and baseball. Under his direction the school completed a $150 million athletic facilities plan and transitioned to the America East Conference. McElroy served as a collegiate athletic director at four schools before coming to Albany in 2000 — American University in Washington D.C., California State in Sacramento, University of the District of Columbia, and the University of Houston. 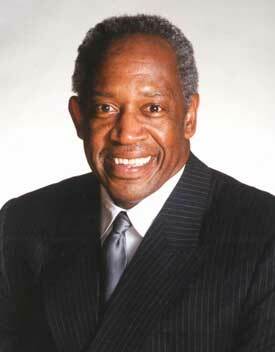 McElroy was a three-year letterman in football at UCLA and graduated with a Bachelor of Science Degree in 1970. He earned his master’s in education in 1973 from the University of Southern California and earned his doctorate at the University of Houston in 1984.